Barbara de Vries is a different breed of beachcomber. 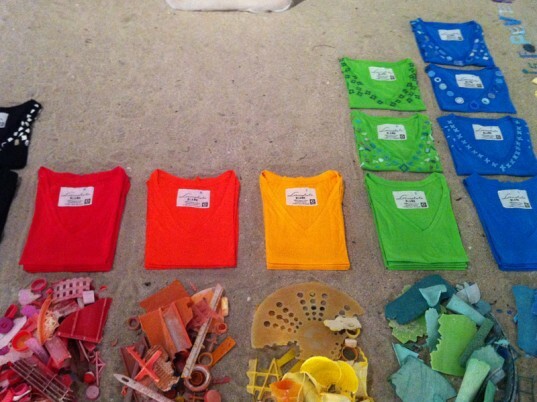 At Art Basel Miami this past week, the jewelry designer hand-embellished a series of Loomstate T-shirts with plastic debris, which she gathered from the once-pristine beaches of the Bahamas, sorted, washed, and strung up like beads. The plastic detritus that litters the world’s beaches is anything but lovely, but designer Barbara de Vries has managed to transform an environmental scourge into something worth coveting. Teaming up with Loomstate at Art Basel Miami this past week, de Vries hand-sewed a multitude of organic-cotton T-shirts with the polluting fragments. Clad in the patina of age and polished by nature, the plastic takes on a haunting beauty of its own. The Loomstate x Plastic is Forever shirts will be available for sale online and at Barneys New York in spring. An ocean pollutant that washes up on shores across the globe, beach plastic is a scourge on our ecosystem, and an escalating threat to wildlife. De Vries washes and sorts the fragments of plastic, which take on an unearthly, stonewashed patina after years of buffeting by waves. 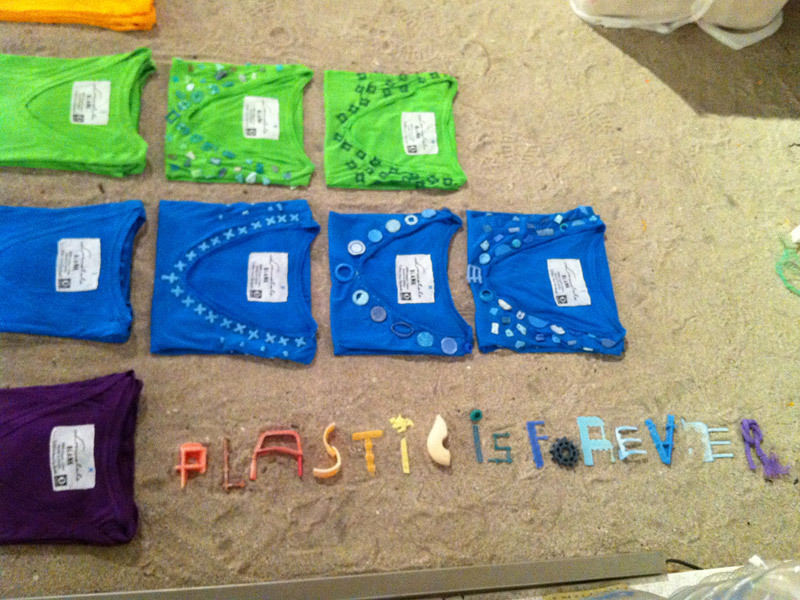 Like shards of coral and glittering gemstones, the erstwhile trash is strung up into one-of-a-kind jewelry, which de Vries sells under her "Plastic is Forever" label. At Art Basel, de Vries worked inside an installation made from 2,000 recycled plastic bottles, which she collected through a bottle-recycling drive by Miami public schools. Couched in the space, the designer hand-sewed her rehabilitated plastic jewels onto myriad Loomstate's organic-cotton V-necks, which will be available for sale online and at Barneys New York in spring. The Loomstate x Plastic is Forever tees are expected to retail for $135 apiece, with a portion of proceeds going to the Cape Eleuthera Institute and the Island School, which promote firsthand engagement of people with the environment. "The tees in their way will create a new fashion paradigm," says Berrin Noorata, a spokeswoman for Loomstate. "The Loomstate organic tees and the beach plastic were both out of the consumer chain but will become fashion again at Barneys in spring."